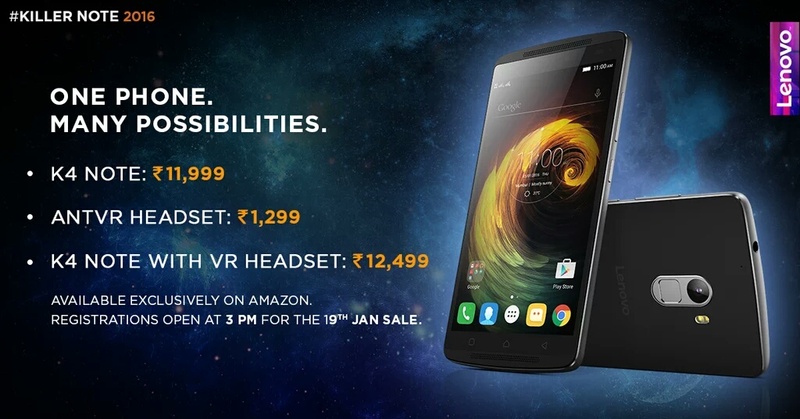 Lenovo K4 Note smartphone launched in India at Rs 11,999 and at Rs 12,499 (with the ANTVR headset combo). The phone is available exclusively on Amazon.in with the flash sale starting on Tuesday 19th January at 02:00 Pm. The phone teased many times before its launch on his official page with the hashtag of #KillerNote2016. Lenovo K4 Note is an upgrade to the earlier Lenovo K3 Note with faster 64 bit octa-core MediaTek MT 6753 CPU with Mali T720 GPU. The phone has 3GB RAM and 16GB internal memory (expandable up to 128GB expandable). The new K4 Note comes with a 5.5-inch FHD IPS display. The camera on the back has a 13MP while the front camera has 5MP resolution. 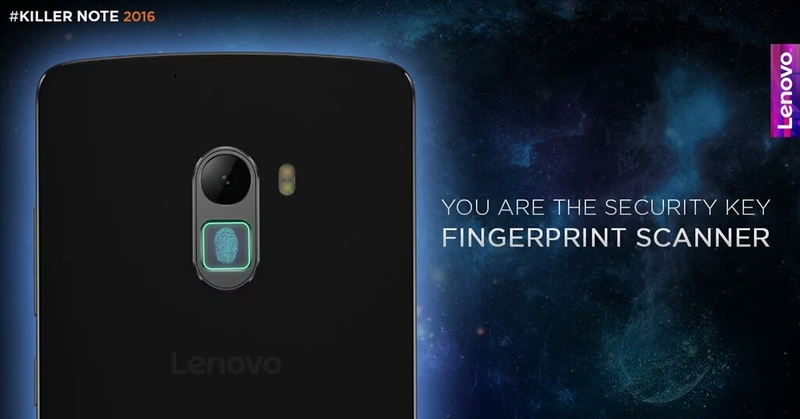 This device will also be the Lenovo’s first phone to come with a fingerprint scanner and bundled with the ANTVR headset. Display and Looks: –Lenovo K4 is definitely better than its predecessor k3 note in design and looks. It had plastic build with a metallic finish and curved metallic frame that will be available in black color, and also, it comes with a replaceable back panel. Regarding display, Lenovo K4 Note sports 5. 5-inch 1080p Full HD display, with Corning Gorilla Glass 3 protection. It has a pixel density of 403ppi and includes 450 Nits brightness, user controlled colour balance. Processor and Storage: -Under the hood, Lenovo K4 Note is powered by an octa-core MediaTek 6753 processor and paired with 3GB of RAM. 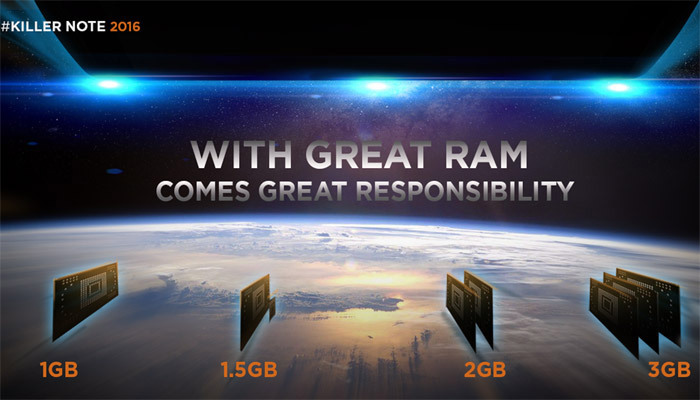 The phone has powerful Mali T720 GPU for graphics and gaming performance. K4 Note packed with a 16 GB internal memory and expandable up to 128 GB via microSD card. OS and Camera: – Where most of the phones getting new Marshmallow experience, Lenovo K4 Note still comes with Android Lollipop 5.1.1 based on Vibe UI, and it will be upgraded to Android Marshmallow 6.0. It would be expected to see Marshmallow on K4 Note at Feb end or in March. Lenovo K4 Note has a 13 MP PDAF camera on the back with dual LED flash and an aperture of F2.2 and a 5 MP camera on the front for selfies. Battery and Connectivity: – Lenovo K4 Note comes with 3,300 mAh battery non-removable battery. The dual micro-SIM phone has an option to use any network on any sim including 4G/LTE connectivity options on both SIM. Other Important Factors: – The most important and unique feature of Lenovo K4 Note is that it includes Theatre Max with ANTVR gear, it gives you aVirtual Reality experience for your regular media files and comes with dual front-facing stereo speakers wth Dolby Atmos surround sound. It also comes with Fingerprint scanner. So this is the full specifications of Lenovo k4 Note. If you looking for a new phone K4 Note with TheaterMax and ANTVR gear is a great deal for you at price Rs 11,999 and 12,499 (with ANTVR gear).